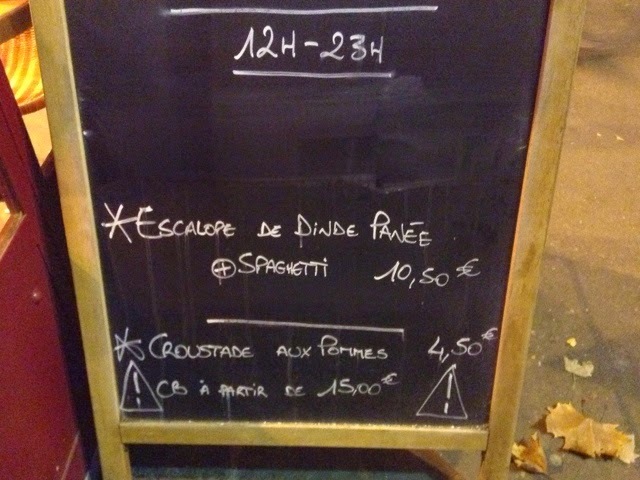 Who says there isn't plenty of turkey in Paris? 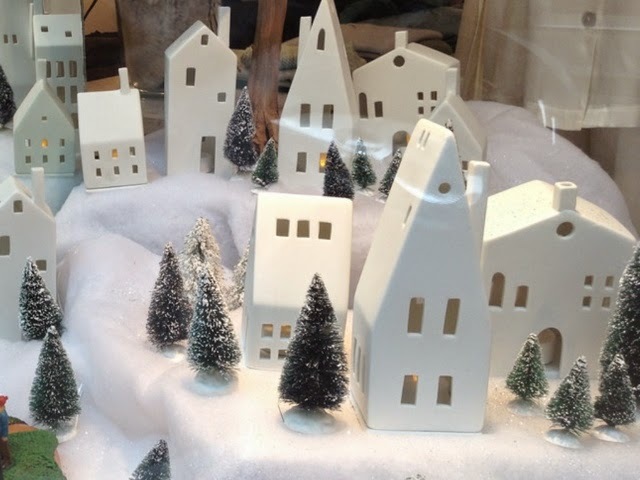 Just try Le Bon Marché's l'arbre Noel shop on the 2nd floor. Only 15€. A steal for one of these babies. 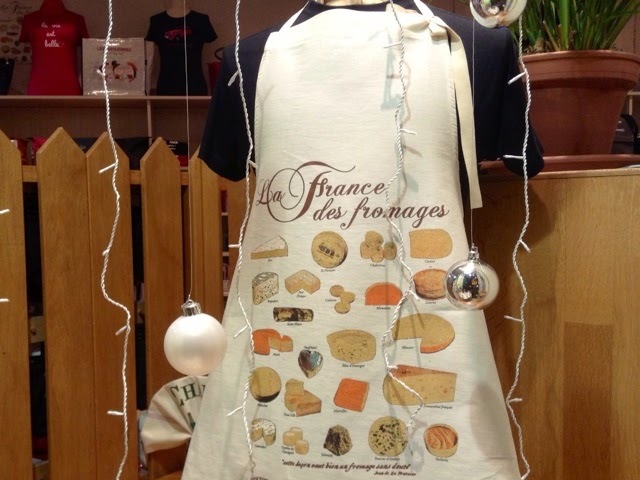 And what will he/she be wearing dans la cusine? Maybe this. Or this (Mrs. Perfect at the oven). Much better to walk. The weather's fine. 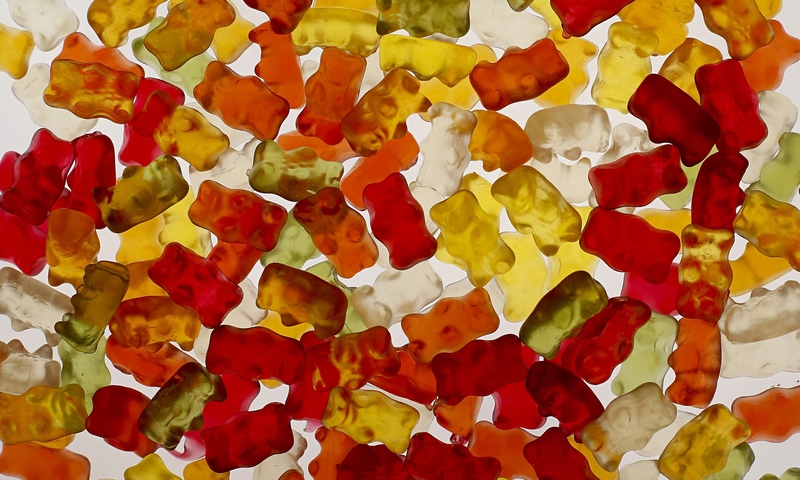 Preferably in your Chanel pumpkin sneakers costing about 2 years worth if daily Haribo gummy bears. 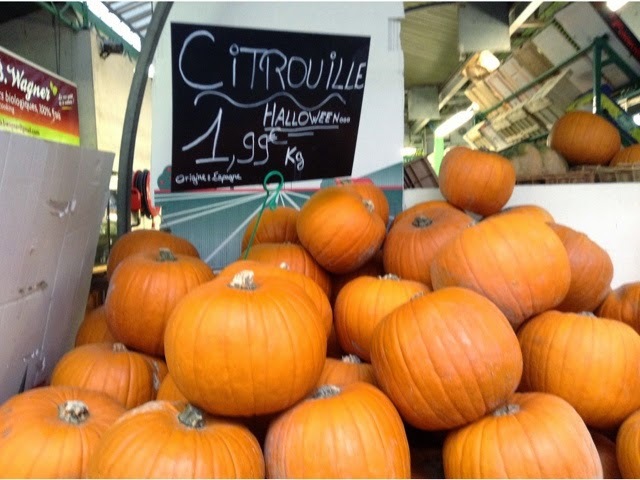 There are plenty of pumpkins in Paris. Not to worry. 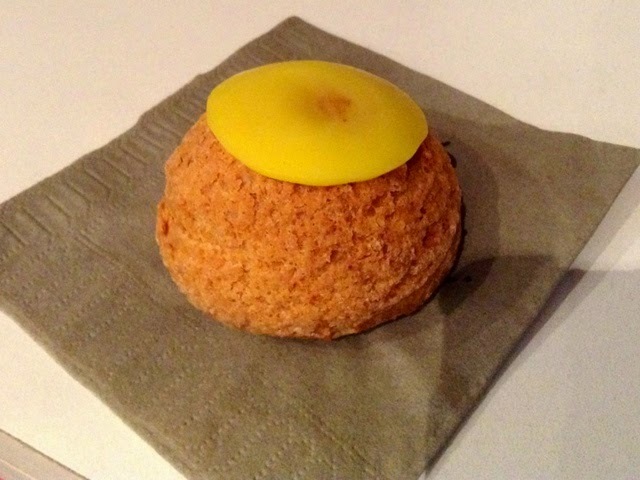 And you can eat yours inside a Popelino choux (cream puffs) 1,90€. Want to have your turkey out? I saw this at a restaurant over the bridge. 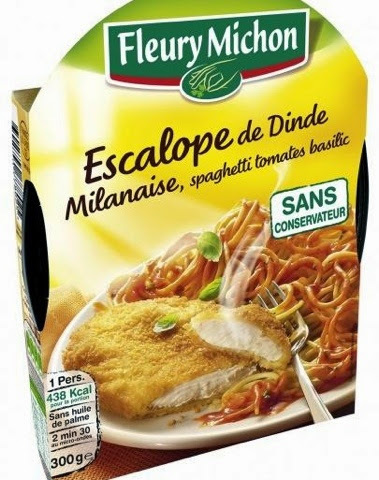 Or DIY turkey (dinde) at home c/o Fleury Michon for even less. 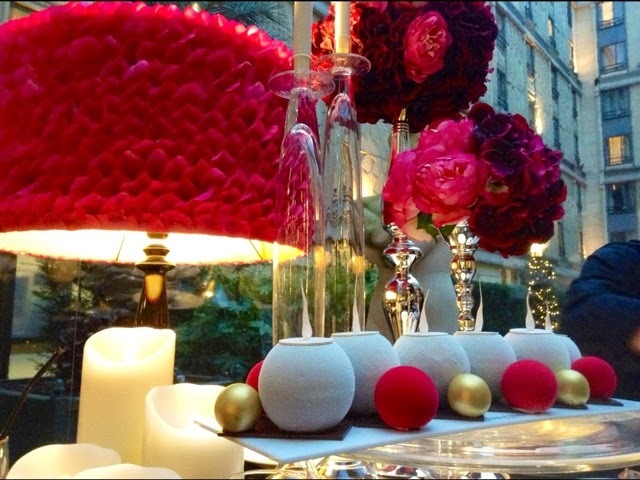 A witty Bûche de Noël of lit candles and red Christmas balls called 'Éclat de Lumiere'. (Yes, that's a peonie petal lampshade in Fauchon's signature hot pink). Inside: passion fruit, mango, white chocolate, creamy milk chocolate mousse, Tahitian vanilla with a caramel and passion fruit lollipop, make for a light, slightly acidic palate cleanser to a heavy meal be it Thanksgiving or Christmas dinner. 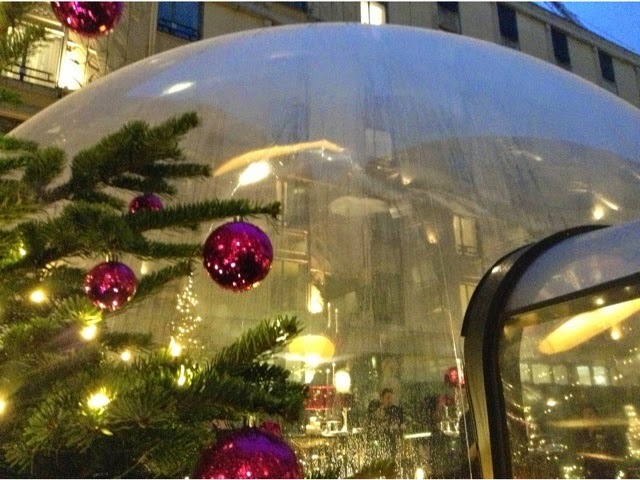 Naturally there was Fauchon bubbly served inside the bulle. Fauchon will do desserts for Afternoon tea in the bulle. I hope to try them. 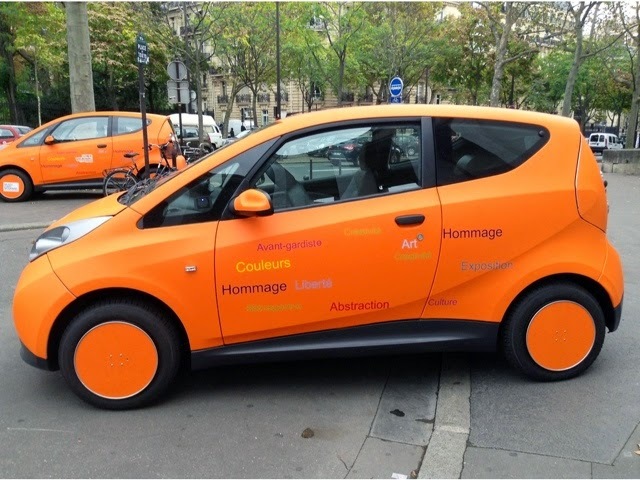 Thank you so much for your great posts taking us all over Paris with your exceptional shots. Almost as good as being there. Thanks Again. So festive! 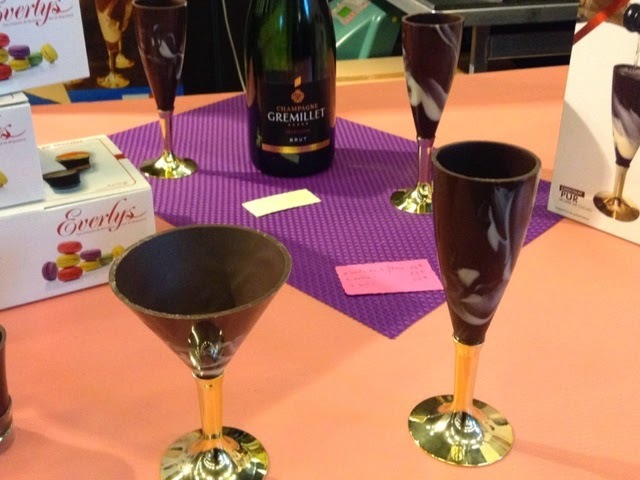 Cheers and Happy Thanksgiving to you too from a night owl. Happy Thanksgiving to my fave american in Paris:) (bear too)..
That's quite the glittered Gobbler..très festif..
Love the macaron timer of course and Madame tablier. The 2 dolls are the show stealer. Happy Thanksgiving to you, Carol. 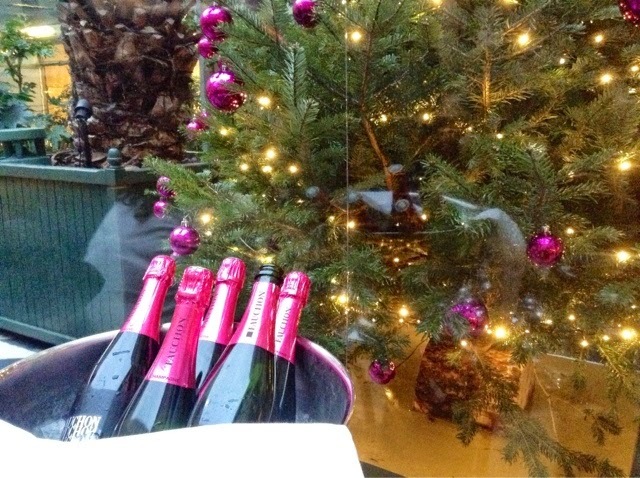 Love the idea of having bubbles in le boule and afternoon tea. Sounds like the perfect medicine for this time of year! Hi Carol, so happy that you enjoyed a nice Thanksgiving in Paris. Thanks for the wishes and the fun post! I think that on Cyber Monday I will be trolling the Internet for a macaron timer!! There are tons of them on Google. Beautiful photos as always, Carol. I especially like your "Inside the bubble" shot! I hope that you have a great expat Thanksgiving! Carol - Happy Thanksgiving - One of the things I give thanks for are your postings, they bring such joy to my day! But I must search down that Madame Parfait apron! Where should I look???? Happy Thanksgiving Carol. Having Tea in the "Bulle" looks amazing. I will be looking for the timer, also. Have a good one. Happy Day of Thanksgiving, Carol. I must add tea in the "Bulle" to my list for my next Paris visit. 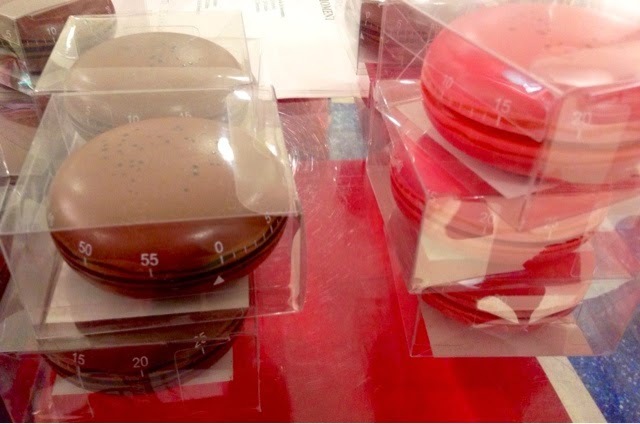 Fauchon is always on my list. Feeling full of gratitude for receiving Paris Breakfast posts in my in-box. I eagerly await each new post for a taste of Paris. And now I eagerly await what will soon be in my mailbox on the front porch. fabulous ! Fabulous ! Everything always looks better in Paris!!! Happy Thanksgiving Too You! !, look forward to all your Christmas posts!!! 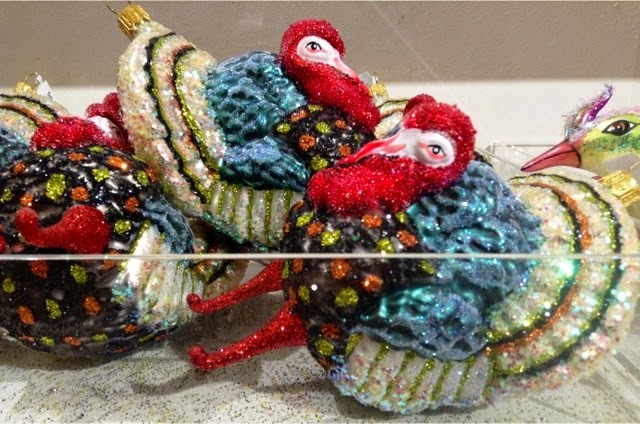 love the Turkey ornaments!!!!! Send more pics of pretty ornaments! Thank You!!! Happy Jour de Grace to you too, Madame Parisienne-by-choice-extraordinarie. Happy Thanksgiving to you and Bear! Hope you had a nice Thanksgiving. Our day was especially good....family members relaxed and with good manners. Talked to those living away. We all had snow. These indeed are my gravy days. Carol I do love your point de vue! Fun! Thank you for this little visit of Paris! Carol. I hope you & bear had a most Happy Thanksgiving. 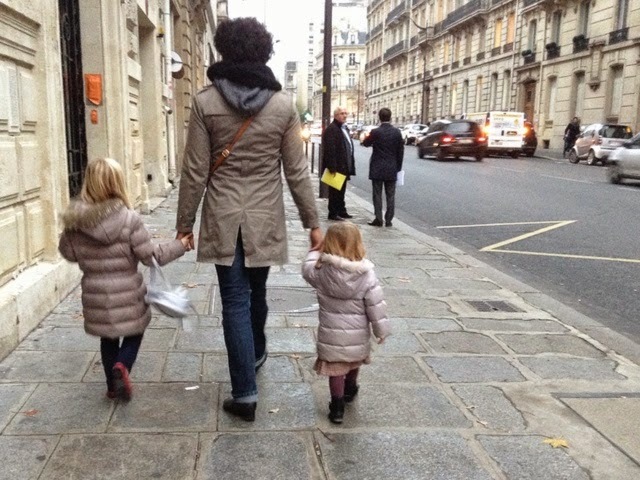 So glad to know you did not suffer Thanksgiving withdrawal in Paris....but those girls in matching coats! Be still, my wishing-I-was-a-grandma-heart! Oh, those turkeys are enchanting! 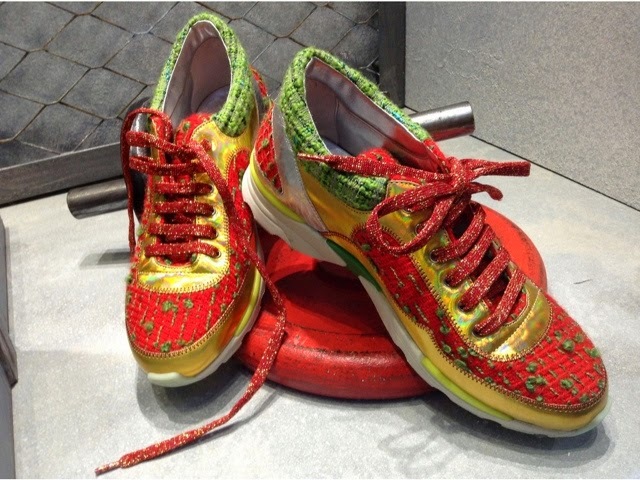 And I want those sneakers!